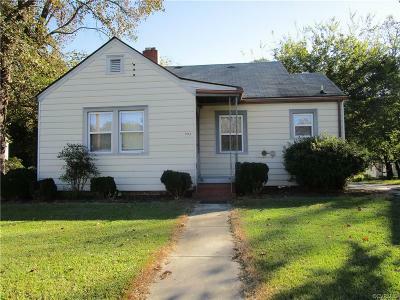 Colonial Heights-This home is perfect for a first time home buyer or investor. If is move in condition, fresh paint and carpets are spotless. HDWD, upgraded electrical panel, CA, Forced air heat, FP with gas logs. Nice dining area. Ceiling fans in all rooms for great heat or air circulation. Cement Drive for off street parking. Enjoy the large utility building for yard supplies or extra storage. Dryer hookup in outside utility building.